Found this link with old Halloween photo’s and my evening is complete! And don’t miss this link with the same theme! 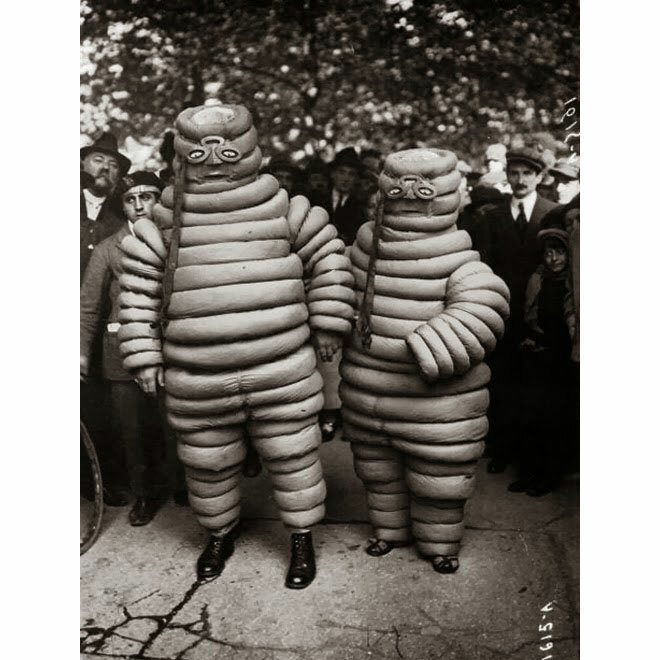 In the first photo, it looks like the (vintage) character of the Michelin brand: Bibendum. Almost the same.. but some new ones. I love the buble bee fly-ish guy.